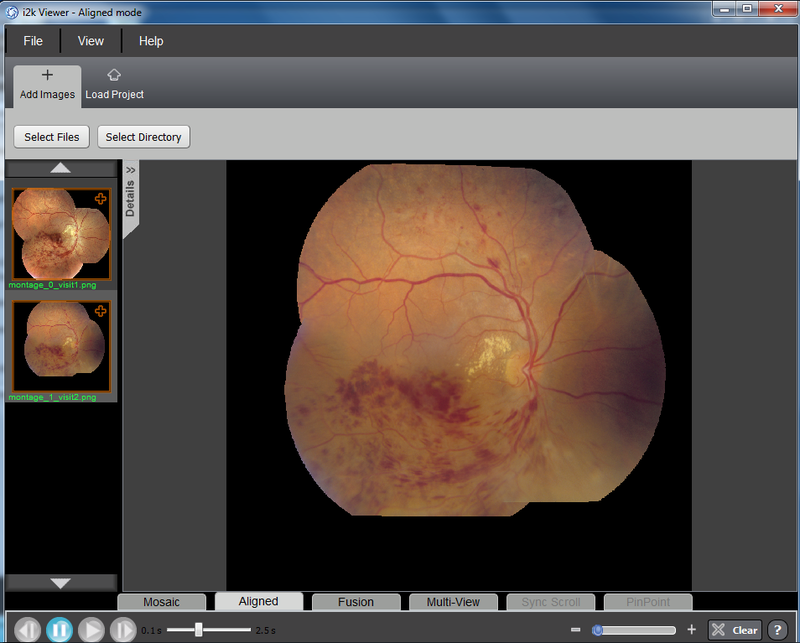 Shows how to build a montage of a set of color fundus images. 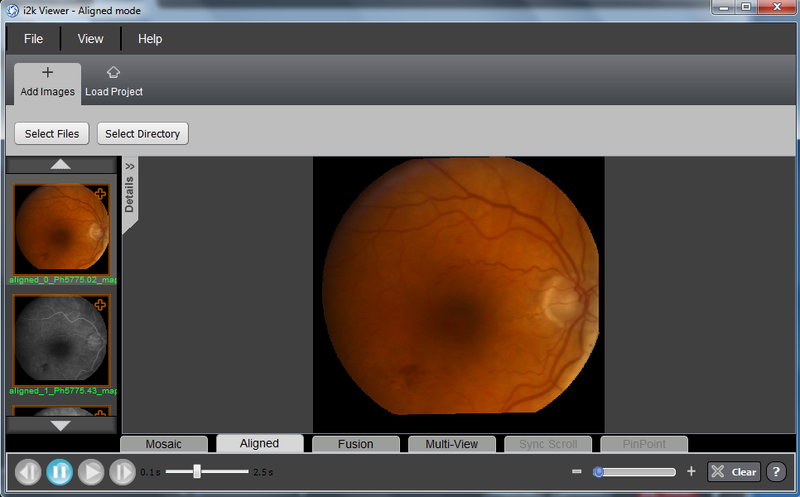 Explores several ways to use the viewer to examine aligned image results. 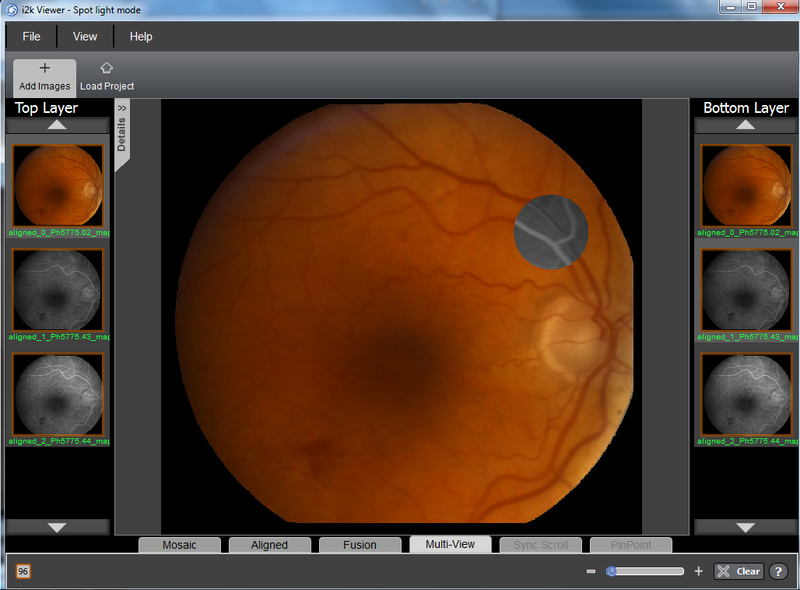 Run i2k Retina Pro in synchronized mode, and view corresponding locations of the images side-by-side without any mapping of the images. 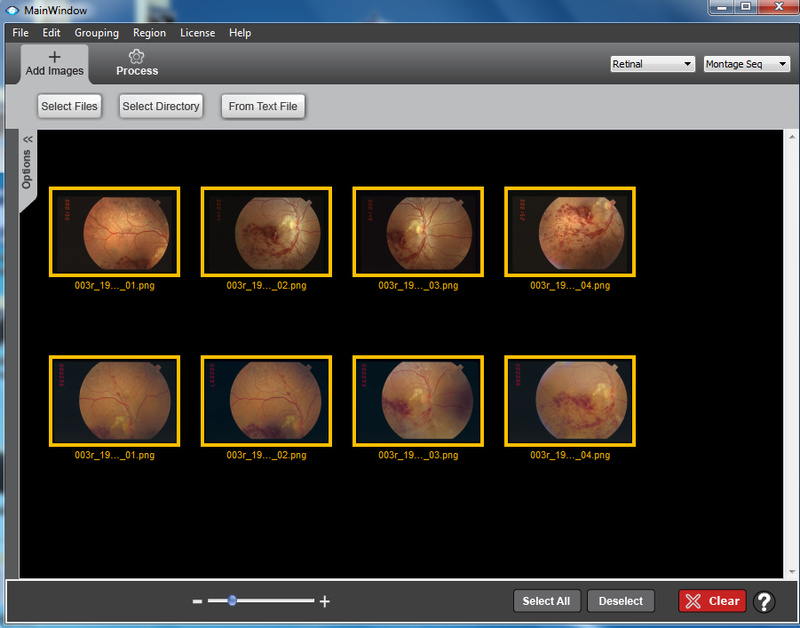 Generate sequences of montages, each one taken from a different patient visit, using i2k Retina Pro. 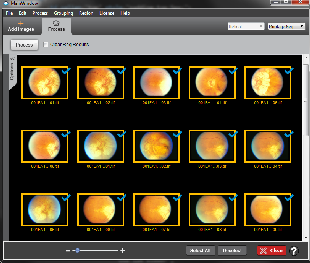 Shows a second way to generate the groupings of images for a montage sequence. Montage 15 retinal images that belong to two separate eyes. 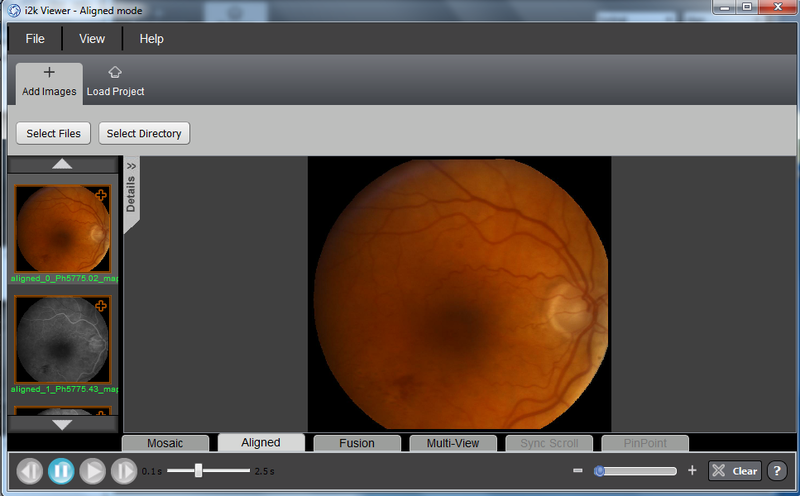 i2k Retina actually recognizes which images belong to one eye and which the other. 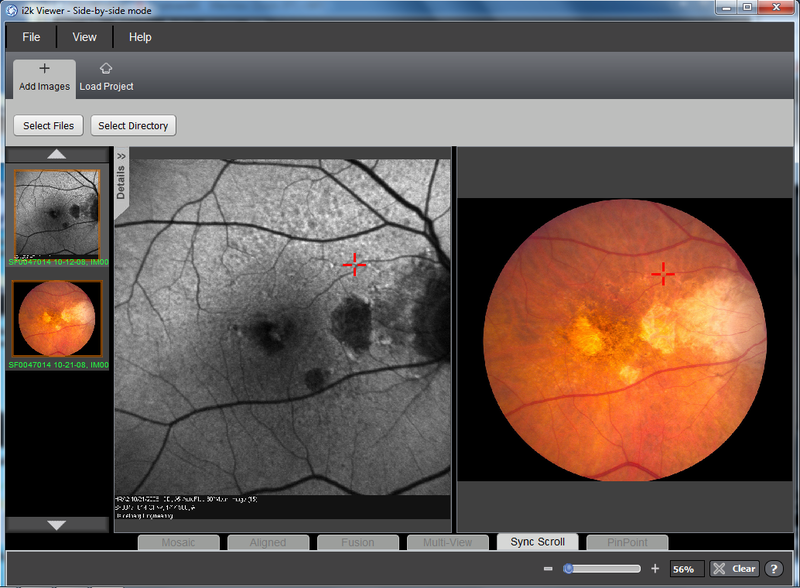 With a couple more mouse clicks, i2k Retina produces two fully-blended mosaics, one for each eye. 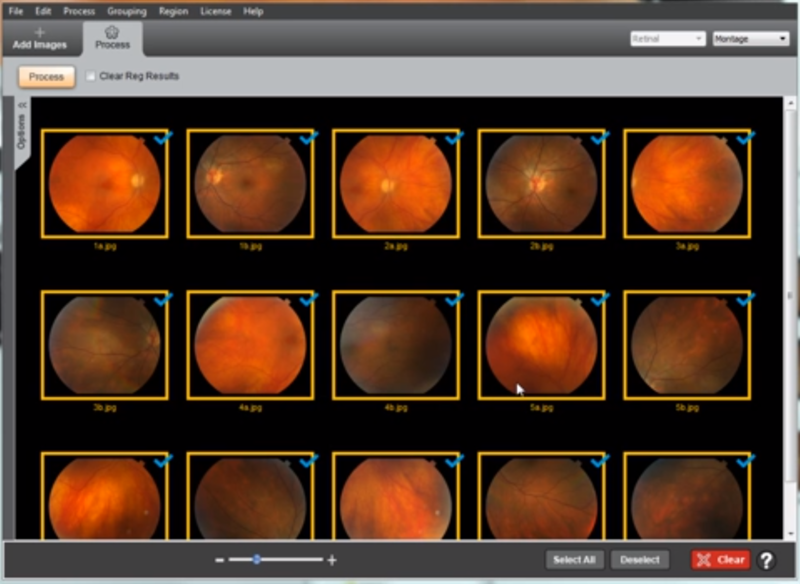 Organize images taken across 5 years into capture groups, register them incrementally by using the save-and-load feature in the Pro version. 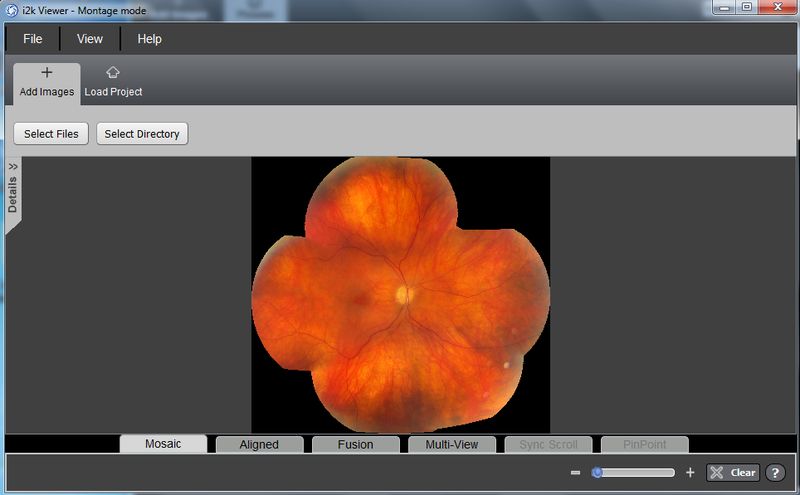 Finally, i2k Retina produces a set of aligned mosaics, each of which corresponds to one capture group.